Confident in presentations, linguistically convincing: The best preparation for successful communication in English. Confidence in English for the whole team and for individual members. The best way to prepare for a successful presentation - in English. Coaching with immediate interaction in groups with the same key topics optimises linguistic success. 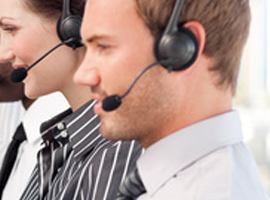 Enquiries, sales, troubleshooting - we provide your call centre with the correct English. No ordinary English course can prepare you for this situation. We make your English "Fit for Purpose" - for successful job applications. Correspondence, prospectuses, sales literature and more: High quality support with writing, translating and proofreading - from a native speaker. Efficient for proficient language skills. We make you ‘fighting-fit’ for using English in your business life. Extremely effective, very efficient and always geared to your personal requirements. Present your company with professional Business English skills. Communicate effectively with the necessary self-confidence at the appropriate level. Your teams can develop specific skills for success and confidence: strengthen the team and individual members. 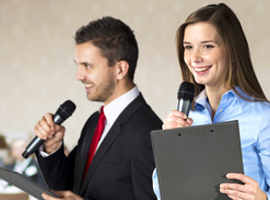 Success in your public appearances and corporate presentations. Prepare yourself and your presentation, to be confident in the content and your delivery. Together for your success! Correct English makes your call centre team more successful. Enquiries, sales, troubleshooting - your call centre can correctly handle every telephone situation. 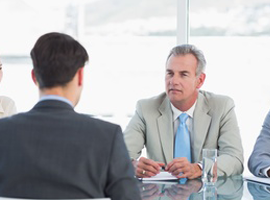 Be convincing and confident in your job interview - in English. Extend and develop your communication skills for job interviews to be ready for new challenges and success. Professional text communication - the right style for your audience. Translations into English. Proofreading and corrections. 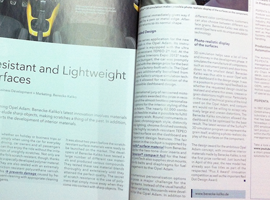 Articles, advertising and marketing material. Groups with shared objectives for optimum language success. Small groups quickly optimise language skills through intensive interaction using relevant themes. Our Business English Coaching is ideally suited for busy professionals and teams with a need for professional business English and who need to communicate appropriately beyond their existing English level. We know that available time is precious and often scarce. Therefore Davies Business English, with the 'Personal Accelerated Learning' concept, has developed a way to convey the professional English which really helps you in an English-speaking business world - in the shortest time. We put you in the position to master speeches convincingly, conduct business meetings competently and give presentations with self confidence. With Davies Business English you have a native speaker with many years of experience in Business English training. In addition to individual coaching, we also offer trainings for teams. We customise all content to your desired topics. Talk to us, together we will raise your Business English to a very professional level - personalised and efficient. The Davies Business English learning concept goes far beyond that of conventional English courses. With us, you or your employees receive personal, intensive coaching. Thus successes are a lot faster. We do not give ordinary courses with standardised lessons. We focus solely on efficient training of English for business purposes. You will benefit from the experience of a native speaker with a business background and you will not waste your time learning content which is not relevant. Your coaching is planned with you right from the beginning with topics, grammar and vocabulary that meet your specific needs - exactly the English that you will use when you return to work. Our coaching takes place in the ideal situation for you to concentrate on the language. This can be at your workplace, or for even better focus, on Mallorca away from the job. We prepare you for your short intensive training so that you know what to expect, and we follow up with regular updates so that you can continue to make progress even after the training. 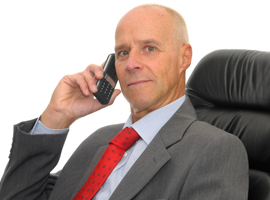 Business English expertise - free of charge. With our newsletter you can automatically receive the latest business English articles directly by email. Free and without obligation! Please enter the letters shown above into the field next to them. We will never share your e-mail address with third parties. Join our mailing list - it's worth it. Send us your questions, anytime.